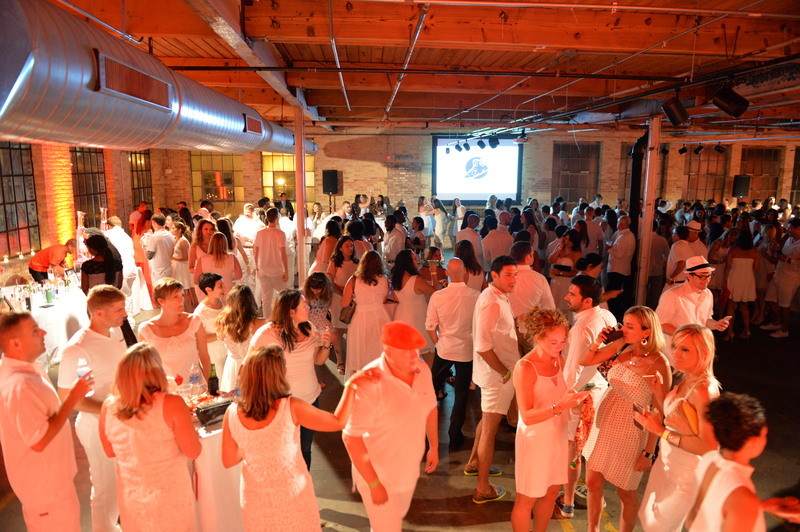 The Chicago Fire Soccer Club will host the sixth annual White Party on Thursday, August 4th from 7:30 – 11:30 p.m. CT at the MCA Warehouse (1747 West Hubbard Street, Chicago). 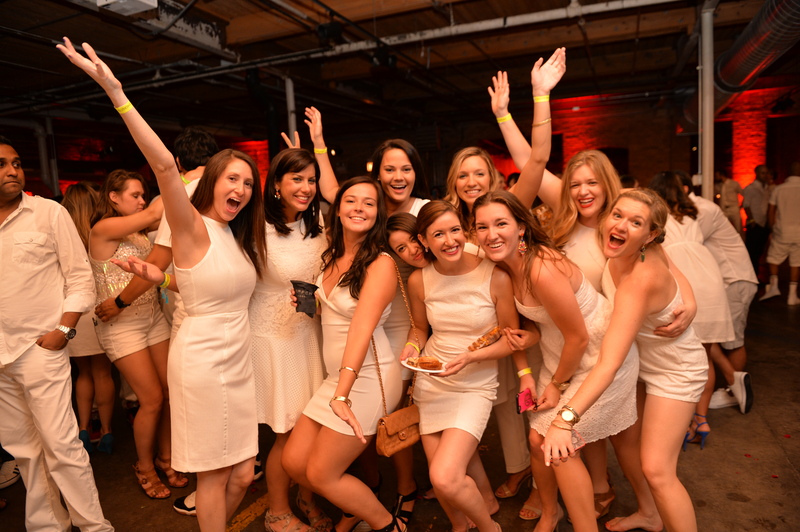 Previously touted by the Chicago Tribune as one of Chicago’s top parties, the White Party has sold out each of the past four years. 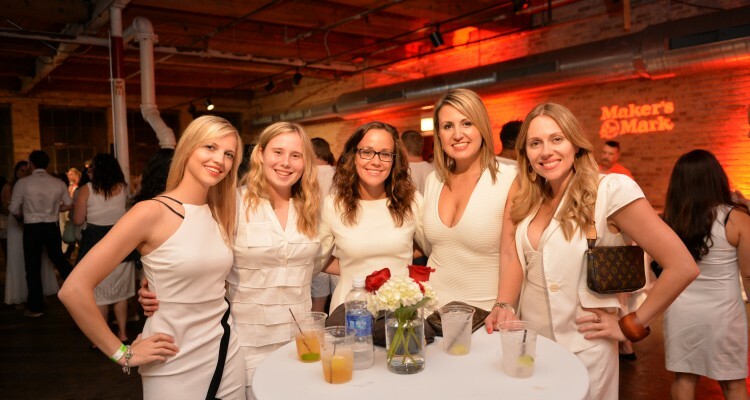 The event features guests in their most stylish white attire enjoying a premium open bar as well as food from various Chicagoland restaurants including Rockit Bar & Grill, a live DJ, a photo booth, and more. After the event, free shuttles will be provided from the venue to the after party at Fremont (15 W. Illinois St., Chicago, IL 60654). 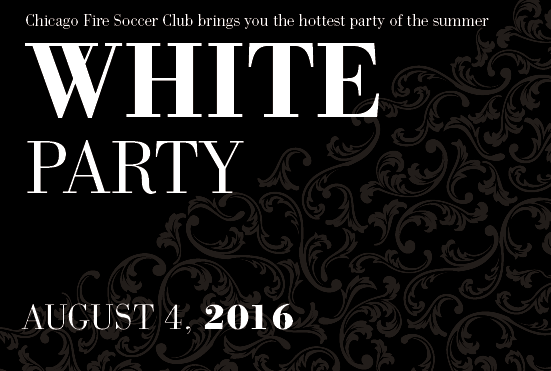 Tickets to the White Party begin at $65 for general admission. VIP tickets are also on sale for $85, and include an upgraded gift bag as well as access to the VIP Lounge with exclusive food options and an additional bar. 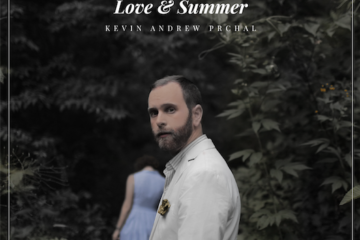 Tickets can be purchased HERE! All proceeds from the event benefit the Chicago Fire Foundation, which is the charitable arm of the Chicago Fire Soccer Club, and last year’s event raised more than $43,000. For more on the Chicago Fire Foundation, click HERE.